Without a doubt the most unusual of all the cat breeds, but perhaps also one of the most special. Once you earn the heart of a Sphynx you will have a best friend and a shadow for the rest of their life. Their larger than life characters mean that once you will have a Sphynx cat you will be a convert for life. Grooming required: A ﬂannel instead of a brush! Sphynx’s require their skin to be lightly wiped with a damp ﬂannel. 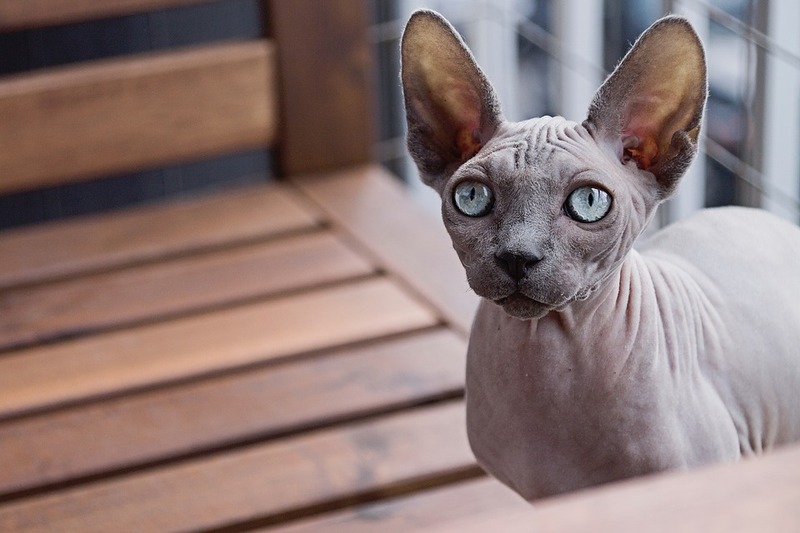 Despite being hairless, Sphynx have a range of different colours. There are black and whites, red and whites, torties, whites, blues, and lilacs. Apart from their distinctive skin they have prominent cheekbones, large ears and large, lemon-shaped eyes. Whiskers and eyebrows are sparse to nonexistent. 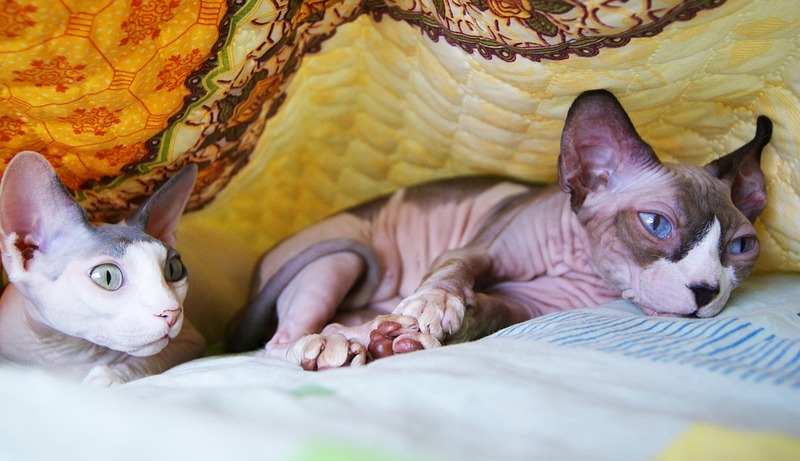 The hairless Sphynx is an example of the cat breeds that come about accidentally. A genetic mutation brought about the birth of a hairless kitten to Elizabeth, a black and white domestic cat in Toronto, Canada. Elizabeth’s owner recognised that Prune, as the kitten was called, was unique and set about trying to reproduce him. He, along with other hairless kittens that were born in the mid- to late 1970s, was bred to furred cats, including the Devon Rex. The gene for hairlessness is recessive, so while some of the offspring were hairless, others had fur. The Sphynx cat was originally named the Canadian Hairless Cat but was later to changed to the Sphynx – a reference to the gigantic limestone sculpture in the Egyptian desert.